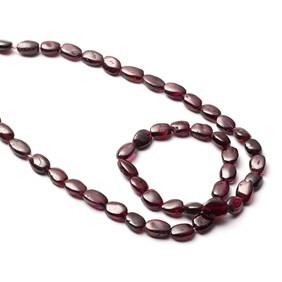 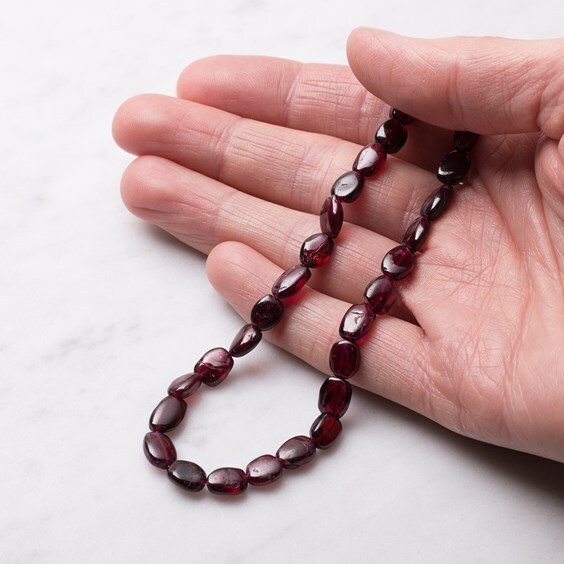 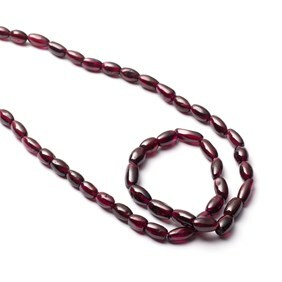 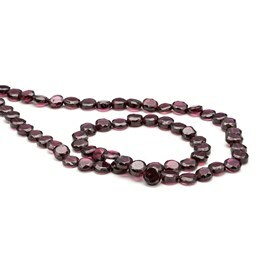 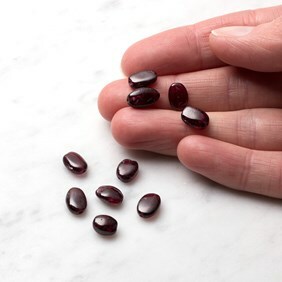 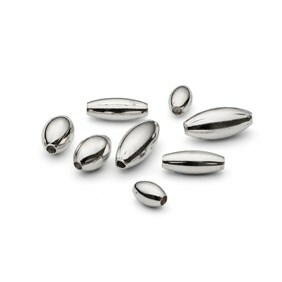 Our garnet flat oval beads are rich dark red semi-precious gemstones perfect for beaded jewellery making. They're reminiscent of ripe pomegranate seeds and look great for earrings! 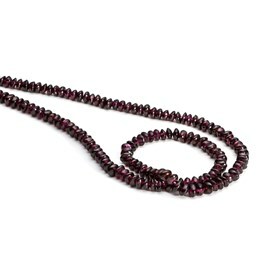 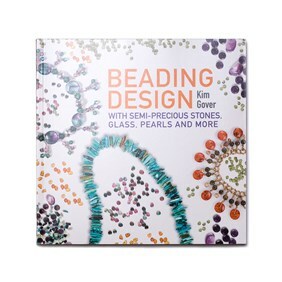 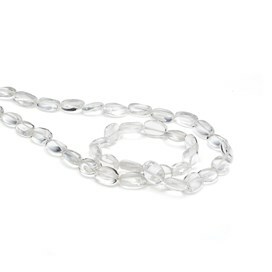 A 40cm strand of beads contains approximately 45 beads.